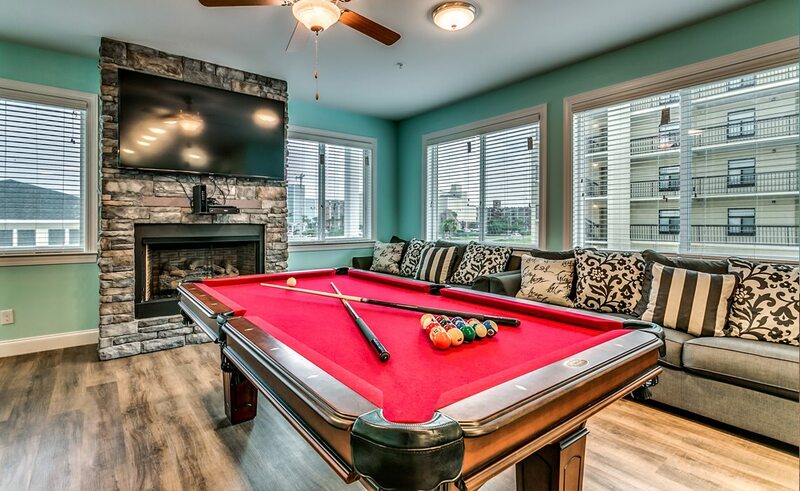 My Myrtle Beach Retreat is the Myrtle Beach area’s newest and most amenity rich private venue offering unprecedented indoor and outdoor amenities. Together Resorts locations consists of individual buildings that can accommodating up to 70 guests each or up to 140 guests when reserved together, making it the ultimate Myrtle Beach venue for any group! The properties were designed to provide the ultimate venue for church, wedding, team, training, corporate, golf and reunion groups. The Together Resorts properties offer so much to do onsite that it almost becomes the destination! After returning from the beach, golfing or other excursions, your group will have plenty of activities to keep them busy right on site. Whether it’s cooking in the Chef’s PRO kitchen, watching a movie in the cinema, playing billiards and arcade games, or swimming in the spa-like outdoor pool, your group will never run out of things to keep them entertained. Our location, amenities and spacious outdoor entertaining spaces set us apart from traditional vacation rental homes & offer a private experience that hotels cannot provide. Billiards table, table tennis, and more! Ground level covered 3 hole putting course coming soon!